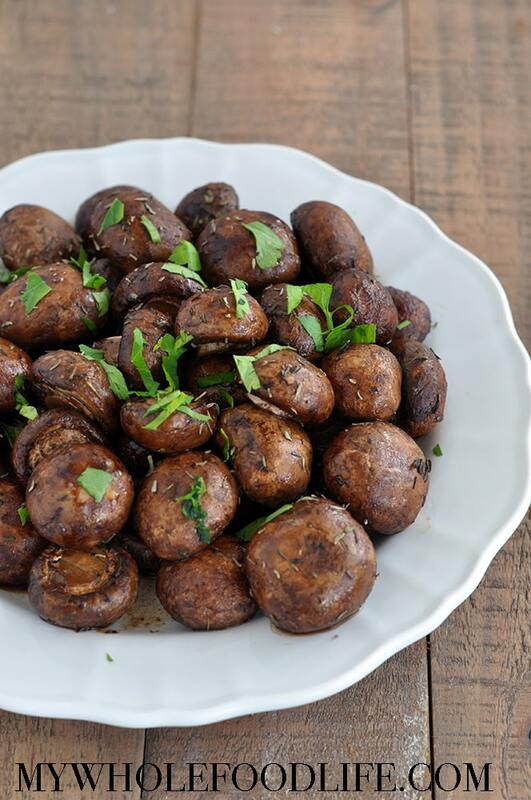 Everything is better with balsamic, right" I love these Roasted Mushrooms with Thyme and you will too. They are full of flavor and easy to make. I could eat a whole tray! This healthy mushroom dish could go with many things. I think they would be delicious tossed in zucchini pasta with a cream sauce, over green lentils, or served over warm salad greens. I made these up right away, but you can definitely let them marinate a little bit to get even better flavor. This recipe fits most diets since it’s vegan, gluten free and paleo. I hope you enjoy it as much as I did!